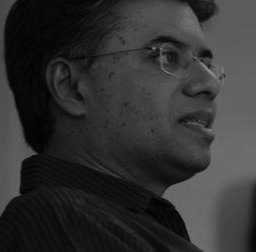 Ravi Sundaram is a Senior Fellow at the Centre for the Study of Developing Societies (CSDS), Delhi. In 2000 he founded CSDS’s Sarai programme along with Ravi Vasudevan, Monica Narula, Jeebesh Bagchi, and Shuddhabrata Sengupta. Sundaram has co-edited the critically acclaimed Sarai Reader series that includes The Cities of Everyday Life (2002) and Frontiers (2007).